We are working on a cost efficient transport methods for Benchtops & Hardware. If you would like a quote for another location, please don’t hesitate to contact us. We use a leading national provider for our road freight solutions and our alliance ensures a fast and affordable service is available to a variety of Australian post codes. Each Quick Kitchens flat pack order is packed and shipped on a forklift-ready pallet in a semi-hard container designed for protection in transit. Please note: if products or colours are ordered which are associated with additional lead time, the order will be held until it can be shipped in one single package. A customer is unable to pick up an order that is not complete. Please note: All small hardware orders are available for pick up only. If you require a quote for Australia Post to delivery, please don’t hesitate to contact us. The customer will be alerted via email once the cabinets have been shipped from Quick Kitchens. Once the delivery has been received by the depot terminal they will call you within 1-2 working days to arrange pick up of your delivery from the terminal. The customer will have 5 days to pick up their delivery. Customers that do not accept the flat pack within this time frame could expect to receive storage charges from the receiving depot terminal. Depending on the destination terminal additional charges may be charged for weekend pick ups or unloading pallet by hand. A forklift is available at depot terminals to load onto your truck or trailer. All Depot terminal address and contact details – please find below. The customer is responsible for handling and disposing of all associated packaging and wrapping including the order pallet. For local deliveries (approx. 1 hour radius from our Caboolture factory) – Standard delivery price is $350.00. Quick Kitchens has the right to change this price if the client is out of what Quick Kitchens deems our local area or access to a property is via stairs, elevators or the property has special access requirements. 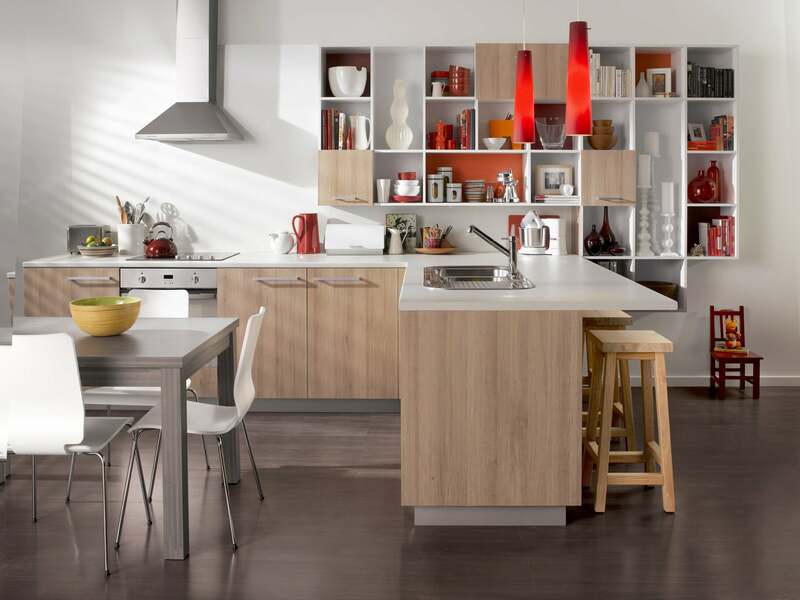 It is the clients responsibility to inform Quick Kitchens of any of the above variables and request an individual quote. If a forklift is available at delivery site address, the Customer must be ready to accept the pallet in a clean, dry and able to fit 1200mm x 2400mm in the area. The delivery crew will not help clear a space for the flat pack order. Please also note that should the unloading require the vehicle to remain onsite longer than 15 minutes then additional costs may apply – these will need to be borne by the receiving customer. Someone at least 18yrs of age must be present to accept the order and drive your forklift. If the flat pack order is to be unloaded by hand, someone at least 18yrs of age must be present and available to assist with the unloading of the board. The Customer must be ready to accept the order in a clean, dry area at ground level.. The delivery crew will not help clear a space for the flat pack order. It is the customers responsibility to check all cabinets before the delivery crew have departed. Any damage must be reported, and photos taken before you sign for your cabinets. We will except no responsibility for damage once the delivery crew have left. If for any reason the customer is not able to accept the delivery, at the organised time, the customer will be responsible for the extra delivery and handling charges. For local deliveries – (approx. 1 hour radius from our Caboolture factory) – Standard delivery price is $350.00. Delivery crew are responsible to bring your cabinets into the home or garage and place them at ground level. Customer must be ready to accept the cabinets in a clean, dry and able to fit all cabinets in the area. The delivery crew will not help clear a space for the cabinets. Please also note that should the unloading require the vehicle to remain onsite longer than 60 minutes then additional costs may apply – these will need to be borne by the receiving customer. Someone at least 18yrs of age must be present to accept cabinets. It is the customers responsibility to check all cabinets before the delivery crew have departed your home. Any damage must be reported, and photos taken before you sign for your cabinets. We will except no responsibility for damage once the delivery crew have left your house. If for any reason the customer is not able to accept the delivery of cabinets, at the organised time, the customer will be responsible for extra delivery and handling charges. When your order is ready for pick up. Quick Kitchens will email you, with a pick-up day and time frame. If you are unable to make this time you must contact Quick Kitchens to discuss a convenient time. Your order needs to be collected within a 3 day time frame or storage charges may apply. Please be aware that once your product leaves the factory it is under your care and suggest you make sure your transport company has transit insurance. We do have a forklift on site for our flat pack product. Standard flat pack dimensions will be on a pallet sized – 1200mm x 2400mm (height is subject to your order size) It will be wrapped in plastic and secured with tie downs. It can be loaded onto your trailer or truck by forklift. A small order will be stacked ready for loading in your car or on your trailer. Check your cabinets to make sure your order is complete with no damage. We will except no responsibility for damage once your order has left the Quick Kitchens factory. If you are picking up a benchtop, we strongly recommend at least 2 people on site to carry the longer lengths. Please be aware that you may need a couple of able bodies for loading your assembled product. Quick Kitchens staff are not available to help with loading your order. Don’t forget you will need your own blankets / padding tie downs to help secure your load. If you are picking up a benchtop, we strongly recommend at least 2 people on site to carry the longer lengths. Please do not hesitate to contact us admin@quick-kitchens.com.au for further information regarding this alliance and the associated Terms and Conditions.